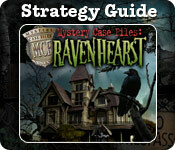 A detailed Strategy Guide made specifically to help you get through the game but not spoil the fun. Unlock the Secrets of a Century Old Mystery: Rumors surrounding the history of stately Ravenhearst Manor have circulated for decades. Locating and assembling diary pages helps tell the history of the house and, ultimately, unlock the mystery. Get help at our Forums for the game. 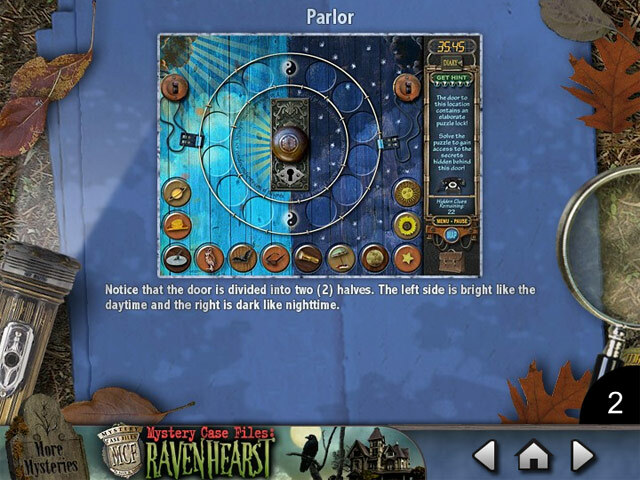 Mystery Case Files Ravenhearst ™: Puzzle Door Strategy Guide is rated 3.6 out of 5 by 10. Rated 5 out of 5 by AngelQueen36 from Wonderful Excellent game and full of HOS which I love. Rated 5 out of 5 by Fazcon from made my day Great game. bought it a when it first came out and enjoyedjoyed it so much i had to play it again. I also purchased #TURNED MANY FRIENDS ONTO BIG FISH THE ONLY ONGAME SITE I TRUST.. Rated 4 out of 5 by seachicken from stuck to many times I am stuck right now at the end of the game. I got the keys, figured out how to put letters in. Just don't know what letter to put in or what to do with the keys. 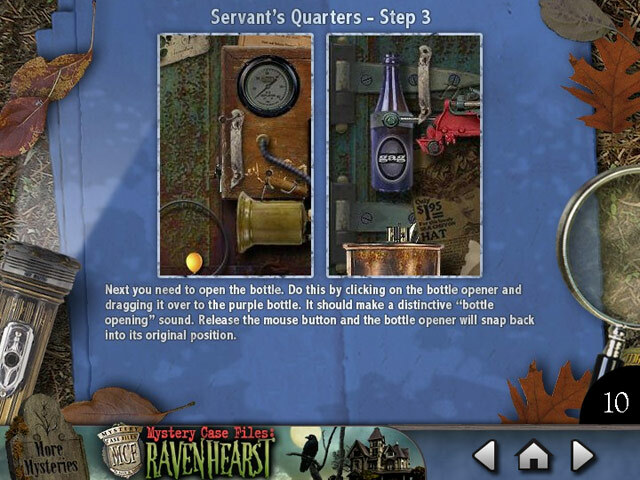 Rated 3 out of 5 by skram711 from door puzzles There are not enough clues to figure out the puzzles. I ALWAYS get stuck!! I've been at this game on and off for about a year and I never get anywhere! Rated 3 out of 5 by sotaflgirl2012 from Disappointed I'm also stuck on the 7 key level....found all the keys but I don't have a clue how to solve the puzzle......each key has a letter but those letters change....need a 7 letter word......there's no hint or directions to this step....poorly done. Should not have to purchase the guide to get through this as there's no walk through cause it's strictly finding objects which can get boring. this is one game I wish i hadn't purchased. Rated 3 out of 5 by triiv from Too run of the mill This was a good game offering a lot of search and find along with a reasonable number of puzzles. The story line had great potential, though it was never tied together so that the game made no sense in room to room searches. Though the art work was beautifully done, the actual items were often fuzzy or non descript. An interesting game for a beginner but, frustrating to anyone with experience.